The subsequent two-point conversion failed, but the fight in these Ravens is notable. 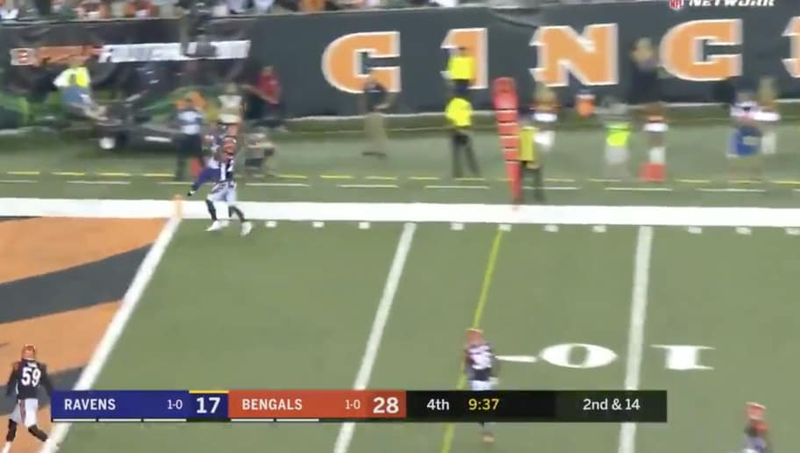 Flacco and Co. aren't quitting, and this 21-yard touchdown catch from Brown was no joke. It's 23-20 in favor of Cincinnati with just under 10 minutes left. Game on!